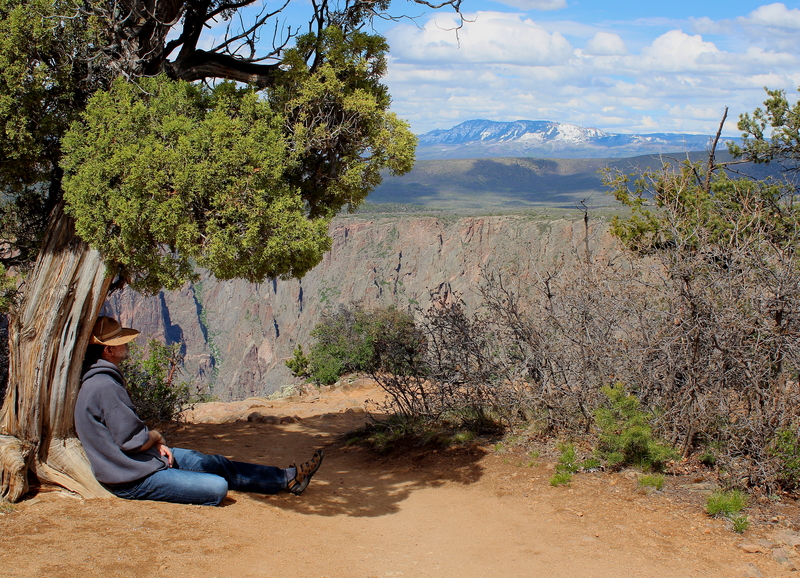 This entry was posted in Nature, Photography and tagged Black Canyon of the Gunnison National Park, travel, travel photography. Bookmark the permalink. I’ll have to look that one up. I asked Steve if there was some psychological name for it, and he said it’s probably related to the Death Wish. Which I also have to look up. Beautiful photographs! Thanks for sharing them. You’re welcome – thank you for visiting! Can you imagine the magnitude of the event that created such beauty! It’s not a single event, it’s several processes simultaneously – so much more complex and mysterious and monumental! I have never visited America at all Priscilla and when I think about Trump supporters it makes me feel that I don’t want to… being perfectly honest ! Thanks, Bruce, and to you and Fran and your mountains!